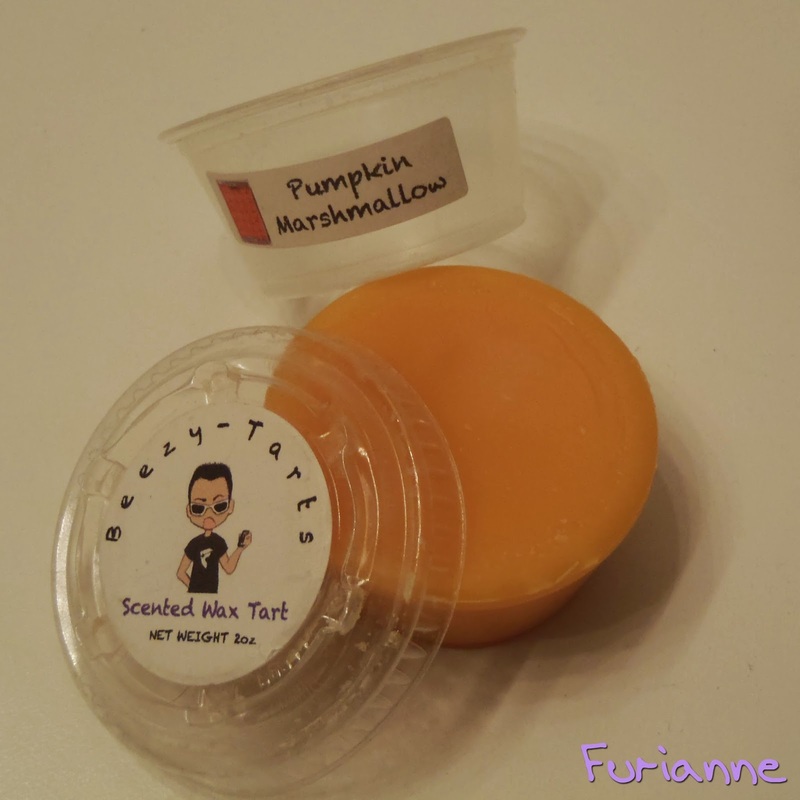 Scent Description: According to the website: Sweet Sticky Marshmallow blended with Creamy Pumpkin. I get a hint of cinnamon here. Besides that, this is an almost sickeningly-sweet and marshmallowy pumpkin. Somehow I associated this with Thanksgiving, even though I'm pretty sure this is a Halloween type scent. Maybe it was that cinnamon I picked up on. Scent Strength: 2/3 Whenever I smell cinnamon I can't ever put the scent as a background scent. Scent Throw: 6/5 Wow, I think this is my first >5 tart I've melted. I was worried when I weighed this out and noticed it was almost twice the amount of wax I normally melt, but I felt too lazy to chop it up before melting some. Michael could smell this at the bottom of the steps that led to our apartment level, if that makes sense. Basically this tart extended very, very far. Melting Power: 5/5 I got roughly 30 hours of strong scent from this before I decided to call it quits. It was just too darn sweet at that point! Awesome Beezy review! This one sounds like a winner! I will watch for this one in the fall. I have an order of marshmallow blends coming from him soon. I really dig his mallows. I've had one pumpkin marshmallow that I loved, and a couple that I've hated, but I don't remember which vendor the good one was from. Doh!